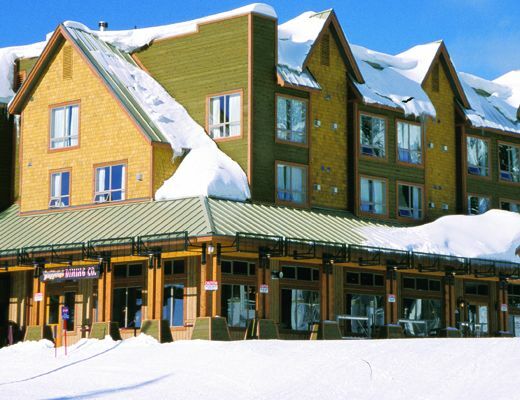 With impressive views and located in the heart of the village, this lovely hotel room offers ski-in/out access in desirable Big White Resort. Beautifully decorated and offering comfortable lodging accommodations, guests staying here will also enjoy the easy access to the onsite restaurant, lounge and day spa. Warm and inviting, this charming loft unit features a cozy corner gas fireplace with slate surround, attractive appointments, a neutral color palette and subtle alpine accents. The kitchenette provides you with the option of simple meal preparation, while the loft offers pleasing linens and a welcoming atmosphere, ensuring rest and relaxation. The modern bath amenities round out the list of fine finishes found here. For your added pleasure, a common hot tub provides the means for unwinding after a long activity-filled day. All televisions are 39â€ LED HDTV. The TV and internet service is TELUS Optik TV, high definition television & complimentary 15Mbps private wireless internet is included.